Rear end collisions are the most common type of car accident in the U.S: the NHTSA estimates that 40% of all collisions involve rear-end damage, which is around 6 million accidents per year. Worse still, the design of modern cars means that the full damage from these accidents is often hidden. 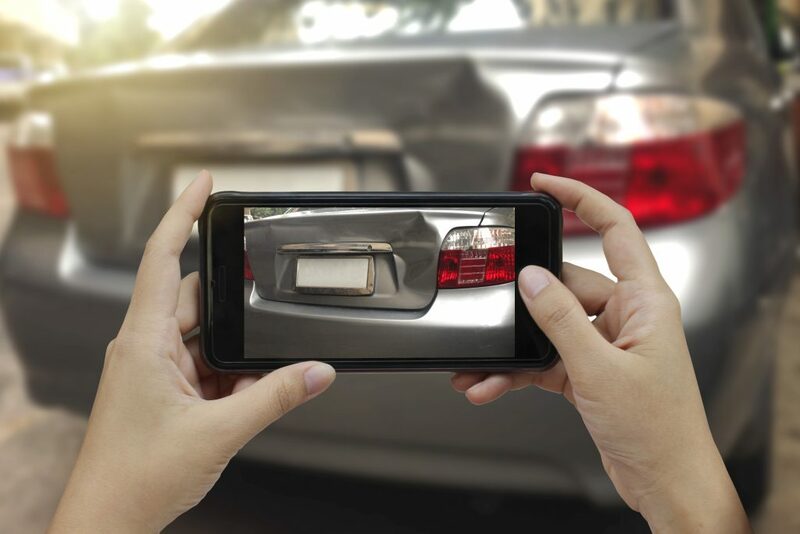 At first glance, it may look like you just have a bent bumper cover or broken license plate frame, but there may be more damage beneath the surface that can cause problems with your vehicle and reduce your safety. While the giant, shock-supported chrome bumpers that were popular in the 70s and 80s were effective at absorbing impacts, they can do major damage if you hit a person. To improve pedestrian safety, newer cars use a combination of flexible bumper skins and impact materials for light impacts, while the real bumper is buried beneath this skin. Today, bumpers are designed to withstand impact forces equivalent to a vehicle hitting them at 2.5 mph without damaging the frame or other major components. However, these impacts can still damage the bumper cover. A minor bump in a parking lot may hurt the appearance of your car, but not its functionality or safety. Things get a little more complicated when two vehicles come into contact. Bumper height can vary widely, so the bumper of a lifted truck will be well above the bumper on a normal car or crossover. That means even a minor impact can damage the rear of the vehicle. The amount of damage done by rear-end collisions isn’t always clear at first glance. Even if the rear of the vehicle doesn’t seem to be bent up, even slight shifts in body panels can cause issues with the latching mechanism. A misaligned latch or loose striker can keep these parts from locking correctly. This can lead to the back of the vehicle opening when driving over a bump or prevent the trunk from latching at all. Panel damage can change the position of the latch, keeping electric and cable-operated locks from operating correctly, even if it can be manually locked and unlocked from the outside. Misalignment can keep the trunk from lining up with the surrounding panels, making it difficult to shut and almost impossible to open. While you may be able to slam the trunk down, it’s much harder to exert the same amount of force when lifting it open. This added effort will also prevent motorized hatches from operating, even if the motors and sensors are intact. A slight misalignment or a damaged seal can let water into the rear of the vehicle. This can lead to mold, rust and electrical issues. It only takes a small gap for this to happen, so while you may think everything is fine, the issue may not be evident until it causes damage. Water can rust the trunk floor and ruin interior carpet. Wind noise is also an issue, especially on hatches. An open-air gap or body panel edge sticking up above the roof will catch the wind, increasing noise and creating whistling noises as your car drives down the road. It’s common to need a wheel alignment after hitting a large pothole or running into a curb, so it should be no surprise that you also need an alignment after an accident. This will bring the wheels and tires back into position, saving your tires from premature wear and ensuring your vehicle handles securely. While tail light damage is obvious, there are more electronics in the back of your vehicle than just lighting. Modern cars have backup sensors and cameras to make parking easier, but even a slight impact can change their position. This can be annoying if a reverse sensor thinks it’s detecting an object and sounds an alarm constantly when you’re in reverse, but it can be far worse if the alert isn’t sounded or a camera is miss-aimed, leading you to back into an object behind your vehicle. The ends of the frame and the surrounding body structure are crumple zones. These components are built to be crushed easily on impact, absorbing some of the force to reduce the chance that passengers will be injured. If these components aren’t repaired, you’ll be at greater risk of injury in the next accident. Merton Auto Body has been a leader in Collision Repair for Waukesha County for over 70 years. We use the latest tools and techniques to repair your vehicle quickly and efficiently, and we have an on-staff appraiser to get work approved by your insurance company as soon as possible. Whether you live in Oconomowoc, Delafield, Hartland or Pewaukee, we’re just a short drive away.